Social and emotional skills and competencies are essential for young people to succeed in school, work, and life. 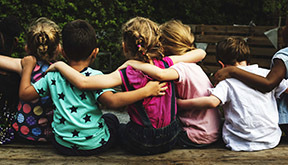 In the past decade, there has been an increasing number of studies, systematic reviews, meta-analyses, and syntheses that focus on the key role that social and emotional learning (SEL) plays in the success and well-being of children and youth. 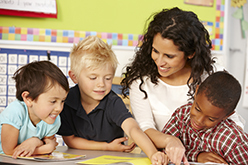 The American Institutes for Research, supported by the Robert Wood Johnson Foundation (RWJF), designed and executed two related activities to explore and describe SEL for practitioners and researchers. Specifically, AIR and RWFJ, along with an esteemed group of SEL experts, sought to (1) explore the relationship between SEL and healthy learning environments, and (2) understand the social and emotional competencies categorized and detailed in social and emotional competency frameworks. AIR explored and described the relationship between SEL and school climate with an esteemed group of practitioners, researchers, and synthesizers. At three expert convenings, participants discussed the intersection of school climate and SEL, gaps in existing theory and research, and barriers and opportunities to integrate SEL and school climate. In the resulting report, The Intersection of School Climate and Social and Emotional Development, AIR staff members summarize the state of the research and present a set of propositions developed from the convenings. In addition, we developed 10 recommendations for practice from discussions at the first practice convening, Creating Healthy Schools: Ten Key Ideas for the Social and Emotional Learning and School Climate Community. Together, these resources can support researchers and practitioners integrate the role that healthy learning environments and SEL play in the positive development of youth. AIR conducted a comprehensive scan and analysis of 136 different social and emotional competency frameworks from over 20 areas of study, spanning from school-based competency development, positive youth development, and character education, to foster care, juvenile justice, and public health. The search focused on childhood through early adulthood. In the final report, Identifying, Defining, and Measuring Social and Emotional Competencies, AIR staff members offer an inventory of the diverse frameworks and competencies identified in the scan, as well as related measures. The report can serve as a guide for researchers and practitioners who are interested in identifying and making decisions about what social and emotional frameworks, competencies, and measures to use in their own work.